It’s hard to find a decent wine with some character for under $10…but not impossible. Across a couple of vintages, I have discovered that the Chapelle-St-Arnoux Ventoux is a consistent, tasty quaff, and a gem of a value wine. The Ventoux AOC, formerly the “Cotes du Ventoux”, is a large southern Rhone appellation in the Vaucluse département, situated on the lower slopes of Mt. Ventoux — the dominating “bald mountain” of Provence — most famous as a dramatic mountain-climb segment in the Tour de France. 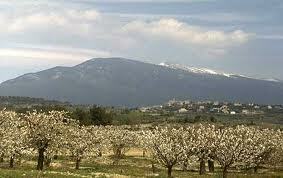 Ventoux wines are very similar to Cotes du Rhones, using essentially the same grapes, and can be good values. Probably the best known brand coming from Ventoux is the ubiquitous — and quite decent — La Vieille Ferme label (for reds). Grenache, Syrah, Cinsault, Mourvèdre and Carignan (maximum 30%) are the main red varieties in Ventoux, too, with Grenache being predominant. And the Chapelle-St-Arnoux Ventoux is a classic Grenache-based blend. The Chapelle-St-Arnoux 2009 (a good year), which I bought at Sipperly’s in Red Hook Village for $7.99, brims with pretty blueberry and red fruit, soft tannins, a hint of herbs and earth, along with a nice dash of pepper on the finish. Not terribly complex, but extremely drinkable, wearing its 13.5 % alcohol lightly. 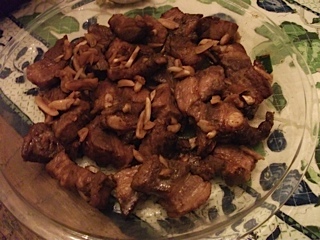 It’s also a great partner for Kathryn’s famous Chinese roast pork. Imported and distributed by the reputable Monsieur Touton, and available in New York City and throughout the northeast, Chapelle-St-Arnoux Ventoux is a case-buy no-brainer. And at 14.99, the Arnoux & Fils domain also makes a bargain Vacqueyras that is somewhat heftier and more complex than the Ventoux. 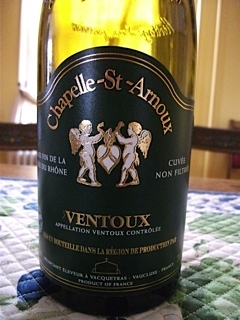 This entry was posted in Wine, Wine + Food and tagged Chapelle-St-Arnoux Ventoux 2009, Monsieur Touton, Red Rhone blend, Sipperly's Grog Shop, Ventoux AOC. Bookmark the permalink.